This very unique pub is very popular among the students who attend Rutgers…and I clearly see why. Upon arrival, you have very nice waitresses who put you first! She was kind enough to suggest a bigger table for our party of five, even when we had no complaints of a regular table! By the entrance there is a huge decorative version of their “mascot” boli the kid…very humorous, I’m sure! It was even more humorous when we saw the “Fish Bowls” which are 60 ounces of their specialty cocktails (Horny Hawaiian, Blue Bang, Island Escape, and Blue Flamingo). What else makes this place special? Their strombolis… These are specialty hand-made “wraps” made out of pizza dough and have your favorite Italian meats, cheeses, sauces and vegetables as delicious fillings. 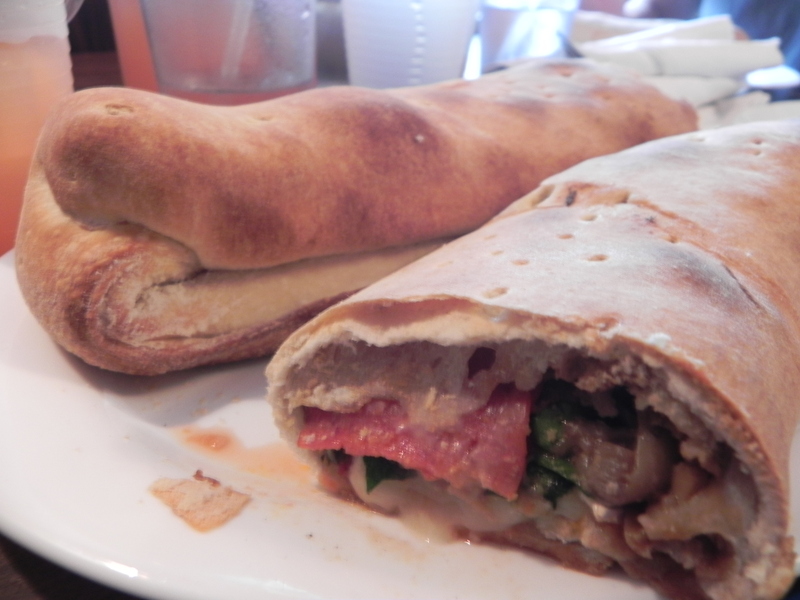 They also offer not only one or two types of stromboli, but have a whole menu of 30 different types! Can’t commit to having one type? They even offer you an option to make your own…so take some flavors from here and there!! As if you didn’t have enough options, you can also choose to have a baby-size (small 4.5 inches), regular (9 inches), and a huge (18 inches). You can check their menu ahead of time here. 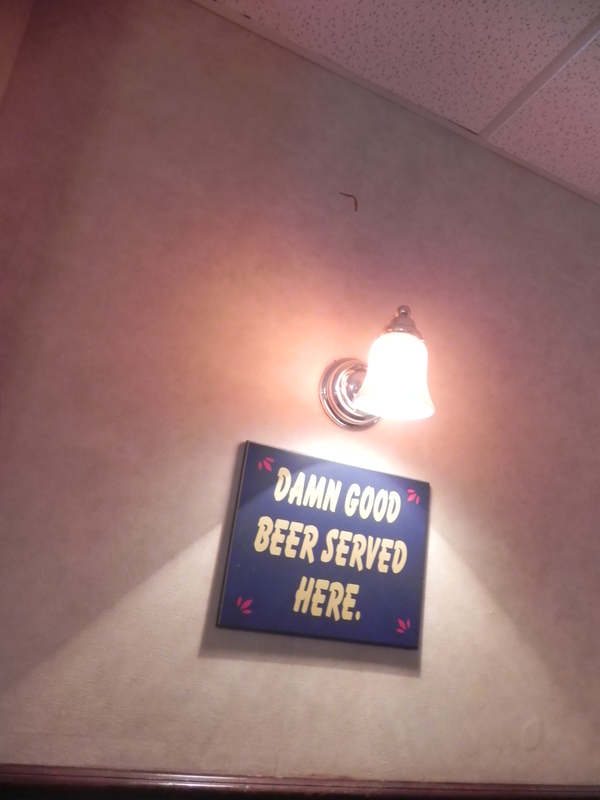 Their decor looked very college-esque. Reminded me of a frat house! Here are some pictures of the interior. Here is Stuff Yer Face featured in Man Vs Food! 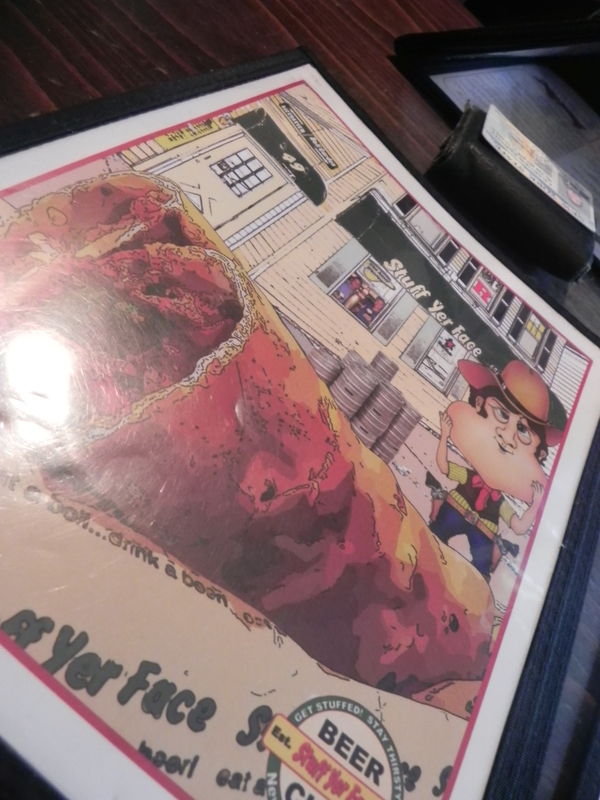 Our quest for Stuff Yer Face began after I remembered about the eateries around New Brunswick on Man vs. Food. I originally wanted to try the Fat Sandwiches there, but stromboli’s just seemed like the more sensible choice on a rainy day. Also, their mascot looks like a really freaky version of Quagmire from family guy, but still a fun little mascot I guess. The interior isn’t the prettiest. Like Pinky said, it almost looks like a college frat house with all those posters. The tables look a little sticky and the windows look like they haven’t been washed in forever. 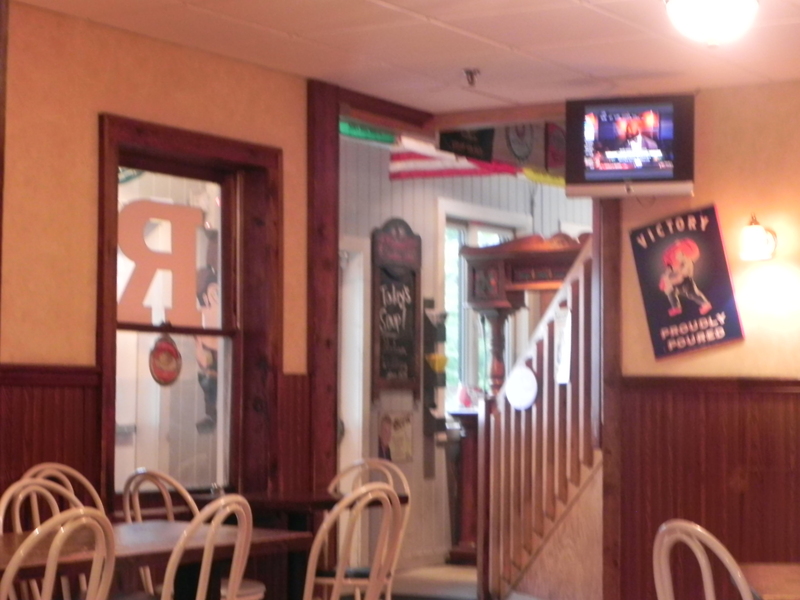 Even though it doesn’t look very nice the room we were, the food was amazing and waitresses were really attentive to us. Their bolis are typically around 7 dollars for the large (9 inches) or baby combo ( 4.5 inches with soup or salad) or 11 dollars for HUGE one (18 inches). Pinky and I ordered a huge boli and split it. You must have a large stomach if you want to finish the huge in one sitting… like Adam Richman from Man vs Food. We ordered the My Favorite boli, which allows you to pick any 5 stuffings (meats, veggies, cheeses, and sauces) with tomato sauce, onions, and mozzarella cheese. We ordered ours with pepperoni, steak, brie cheese, spinach, and mushrooms. Taking our first bite was simply amazing. I thought it was wonderful blend of ingredients, but it definitely could have been better with the addition of a sauce. The tomato sauce alone was really watery and it was mouth burning hot when the juices gushed out of the boli. They are also generous with their ingredient portions. It’s pretty much a pizza burrito. I would definitely like to come back here and try out their other bolis one day. Check this place out! I give it two thumbs up! If I were to go attend a college…for their offered food, I would definitely go to Rutgers. How incredibly lucky they are to have this place near them! I loved the feel of the place and how chill everyone is. Can there be a motto better than, “Get stuffed…” ?! The area around Rutgers seems to be such a beautiful one! Such a college town, it reminded me a bit of Boston..strange!!! 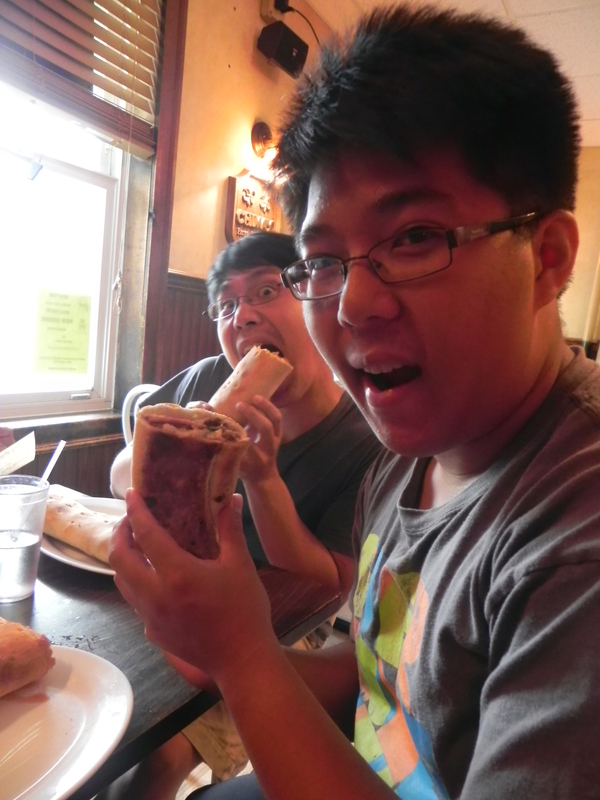 Myself, Vic, and some friends definitely had a good time over our fresh strombolis. It brought me back to our college days! Before this I’ve actually never eaten one, so I have been definitely missing out. I really enjoyed having a crispy pizza dough wrap rather than the traditional soggy ones. Although, I regret not ordering another sauce since the tomato sauce was more watery tomato juice than anything. Other than that I couldn’t stop eating it!!! As for the fishbowl, I thought it was an amazing idea — I had a bit too much fun with the extremely long straws. I can’t imagine finishing the whole cup though.. 60 ounces of crazy! That’s why they limit one per person, I’m assuming. We had the Horny Hawaiian and it tasted more like pineapple juice! Very fruity, but don’t underestimate rum! Just found out that Mario Batali used to work here…dang!!! Read more about Mario Batali here. 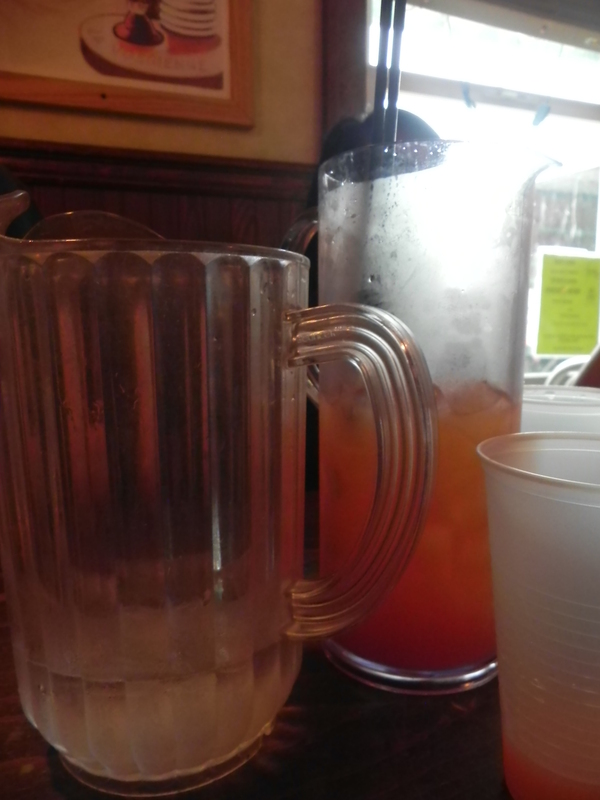 pitcher of water comparison to Horny Hawaiian fish bowl ($14) 60 ounces! Posted on July 13, 2013 July 13, 2013 by pinkytwinkieeePosted in New JerseyTagged bar, big, cheese, cocktails, college, delicious, drinking, fish bowl, food, food network star, huge, italian, mario batali, meat, new brunswick, New Jersey, nj, popular, pub, restaurant, rutgers unviersity, sandwiches, stromboli, super, university, vegetable. Previous Previous post: Bayou Staten Island; GATOR WHAT?! 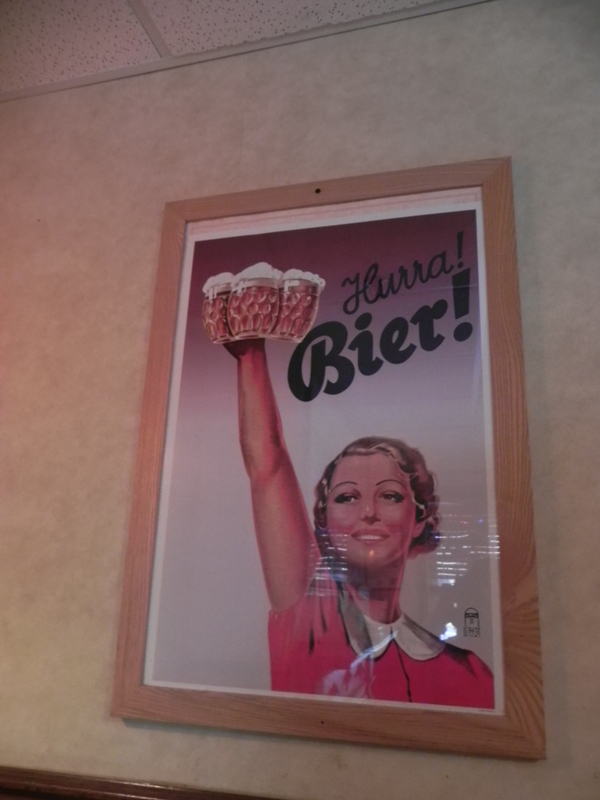 Next Next post: Wafels and Dinges Cafe: Living up to the hype?